Tags: Canada, partypoker, World Poker Tour. Posted on Monday, September 03, 2018 by "T". On the final week of August, partypoker and the World Poker Tour (WPT) announced a 4-year contract that will see both of them working together for the first time ever. On August 29, a press release revealed that WPT will be working with partypoker LIVE on a total of seven events in North America and Europe, with each event offering a prize money of up to $3.4 million. Other than that, players would be able to qualify on these events online at partypoker for as low as $0.01! For partypoker, this joint venture comes 3 months after it teamed up with Triton Poker. Also hosting high roller events in Europe and Asia, Triton Poker has emerged to become the go-to tour operator for poker's wealthiest players as well as those who are looking to play short-deck hold'em. Working in tandem, partypoker and Triton have added a wide variety of high-stakes cash games and tournaments to the partypoker LIVE calendar. 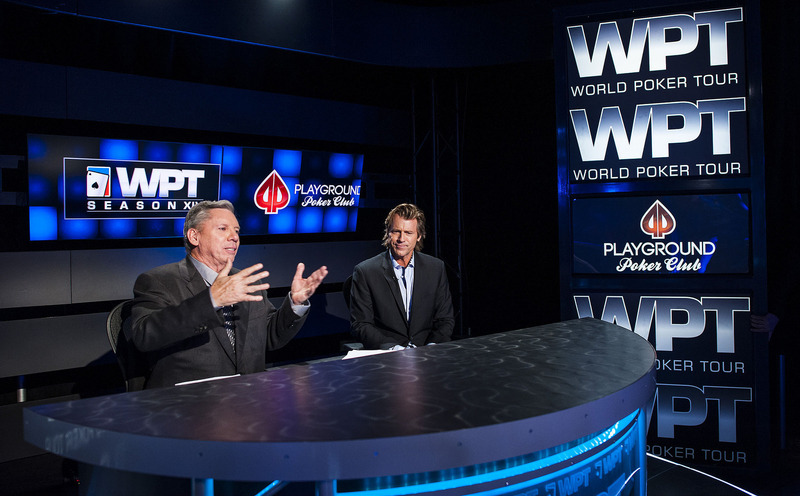 For WPT, this partnership is a great way for it to keep on adding more new exciting events to its annual calendar. Even though recent deals in India and Japan have given it a foothold in emerging markets, this latest deal shall further strengthen its reputation in the strongholds of Europe and North America. To start off this new partnership with a blast in October, the WPT is going to host a "first of its kind" event in Canada. Situated inside Montreal's Playground Poker Club, the poker fest features a combination of WPT Main Tour, WPT500 and WPTDeepStacks tournaments. 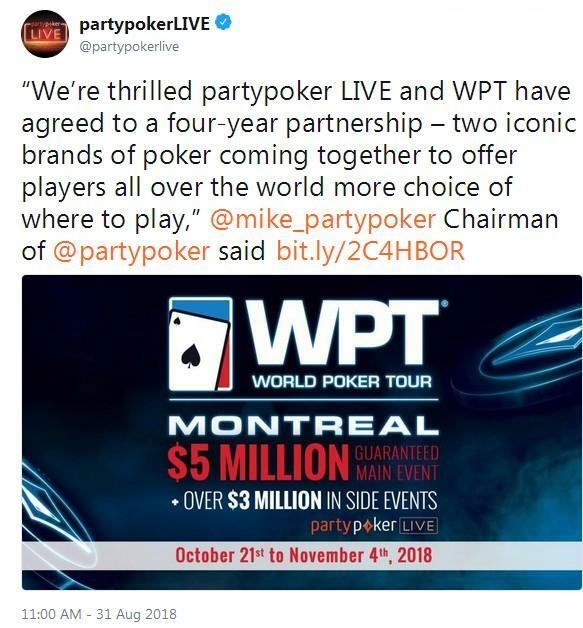 partypoker chairman Mike Sexton said, "We're thrilled partypoker LIVE and WPT have agreed to a four-year partnership - two iconic brands of poker coming together to offer players all over the world more choice of where to play. We're excited to announce the first event will take place at Playground Poker Club in Montreal, where we will work together to offer three components of the World Poker Tour - WPT Main Tour, WPTDeepStacks, and WPT500." After that, the two operators are scheduling to host events in Russia, the United Kingdom, and other popular poker venues in 2019. This deal opens up the chance for partypoker to offer more choices to their players via the WPT. The LIVE tour was first conceptualized at the beginning of 2017, and its main objective was simply to create a player-friendly tour. EPT founder John Duthie was brought in to oversee the series' growth and pledged to "listen to" the community. With this latest collaboration following the original objective, the president of partypoker LIVE said that working in tandem with WPT shall give players more of what they actually want in terms of value and options. The partypoker LIVE and WPT festival is scheduled on October 21 to November 4, 2018. Aaron Mermelstein Wins His Second WPT Title Of 2015! 8 comments for "partypoker LIVE teams up with WPT for $24M World Tour"
This is definitely good news for all the poker players. The more options in tournaments there are, the better it is for the players and game itself. that hitting again and again the online poker. Excellent news for players of this poker rooms. Satellites are very good with 0,01 cents minimum of register and more players will have the chance to qualify. I do not know who are the people with Triton Poker but this alliance is beneficial to all parties. I'm super happy that this happened! Right now I don't have any chance of playing these events even I were to win an entry due to my work. I'm quickly moving up the laddar so I can't afford to be away anything at all. 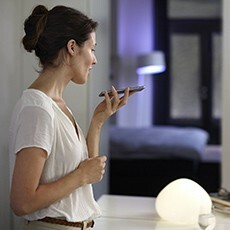 But for those who can, this is a great opportunity! I'm probably gonna try in the coming years since it's a 4 year partnership. They are trying t hit poker stars, and this is a good thing. no matter what they are, eg recreational, professional etc.